Welcome to the Chahine Lab! We are interested in developing new therapies for cartilaginous tissues in the musculoskeletal system. Our focus is on spinal intervertebral discs, where we apply tools of bioengineering and biomechanics to understand degeneration and to develop regenerative strategies. 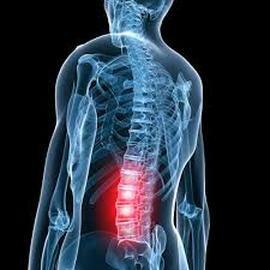 We are also developing diagnostics biomarkers for back pain, the leading cause of disability worldwide. I’m an Associate Professor in the Department of Orthopedic Surgery, and affiliated faculty in the Department of Biomedical Engineering at Columbia University. I direct a multidisciplinary research lab, as part of the Carroll Laboratories for Orthopedic Surgery at Columbia University Medical Center. I also teach and mentor students at all levels, from undergraduate to post graduate levels in orthopedic research. Biography: Dr. Chahine holds a bachelor's degree in biomedical engineering from Boston University. She completed her graduate studies at Columbia University, having earned a Master of Science (2002), Master of Philosophy (2006) and Doctor of Philosophy (2006) in Biomedical Engineering. Dr. Chahine completed her post-doctoral training as an Ernest Lawrence Fellow at Lawrence Livermore National Laboratory (Department of Energy), where she trained in micro and nanotechnology. In 2009, she started a faculty position at the Feinstein Institute for Medical Research and Hofstra Northwell School of Medicine in New York. Dr. Chahine joined the faculty at Columbia University in 2017 as an Associate Professor in Orthopedic Surgery and Biomedical Engineering. Dr. Chahine is an active member of the Orthopaedic Research Society (ORS) serving currently as the Chair Elect for the ORS Spine Section and is a co-organizer and program co-chair of the ORS PSRS 5th International Spine Research Symposium (November 2019). In addition, she is the Chair (2019-2020) of the Cell and Molecular Bioengineering (CMBE) Scientific Interest Group in Biomedical Engineering Society (BMES), and recently co-chaired the 2018 CMBE Conference. Dr. Chahine has been recognized for her outstanding research with several awards including an NSF CAREER award (2012), Rising Star Award (BMES Cell and Molecular Bioengineering, 2013), and the Refractions Scientific Achievement Award (2015).